Bebe Daniels plays a safecracker posing as a French maid in order to gain access to wealthy homes. In the midst of a nocturnal search for a cache of valuables, Daniels is interrupted by Ben Lyon, another safecracker. Narrowly escaping arrest, Bebe and Ben decide to pool their talents, but Bebe gets the urge to reform and encourages Ben to do the same. As it turns out, both thieves are swindled out of their own savings by a seemingly benign old couple. 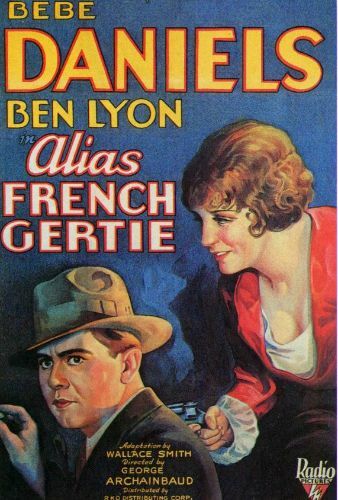 Alias French Gertie, based on the Bayard Veiller play The Chatterbox, represents the first screen teaming of future newlyweds Bebe Daniels and Ben Lyon.